The 2019 Rolls-Royce Cullinan is the very first SUV from the luxurious automaker, and it gets its name from the biggest diamond ever found. 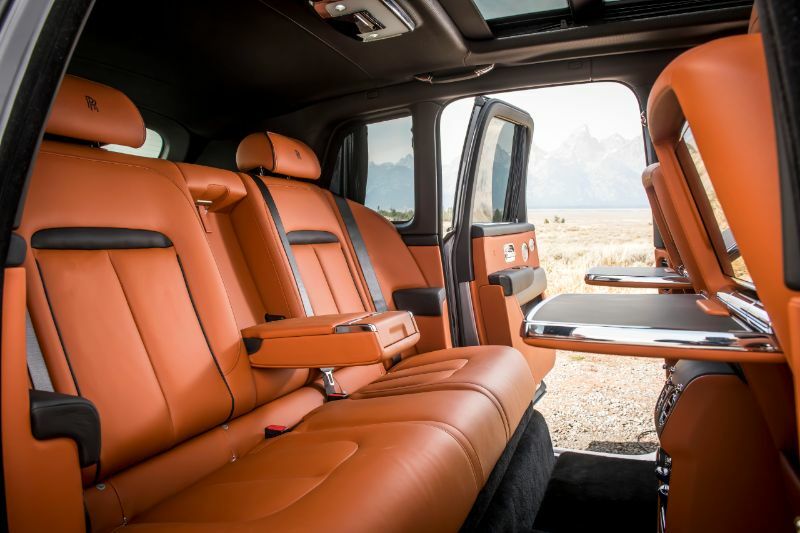 The cabin of the Cullinan is opulent, and it stands out with rear suicide doors. The starting price is about $325,000, but those who can afford this high-end SUV will likely be tempted to make a purchase. In addition to standard premium materials, like lambs-wool carpeting, milled-aluminum accents, box-grain leather, and gorgeous wood trim, you can customize nearly any aspect of the Cullinan. 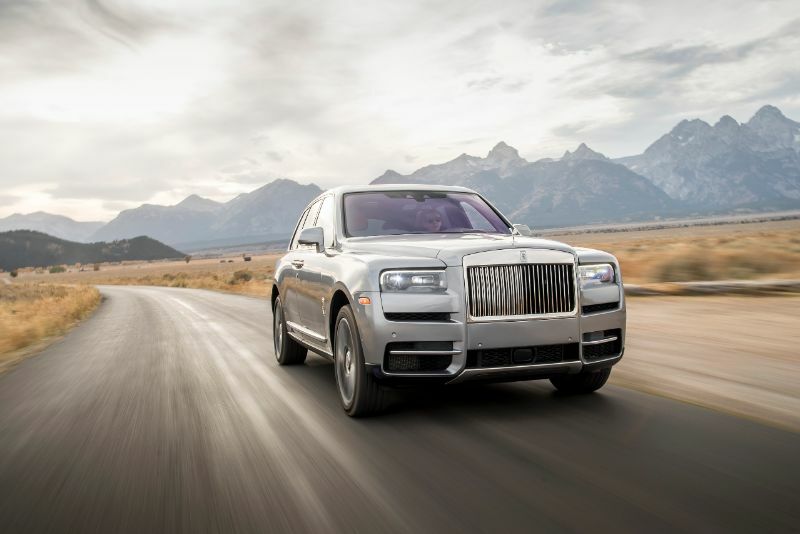 Although this is the first SUV from Rolls-Royce, the automaker’s designers were able to make the Cullinan appear classy and noble so it fits into the ultra-luxury automaker’s lineup. The front features the trademark Parthenon grille found on all Rolls-Royce vehicles. The hood ornament of the Spirit of Ecstasy is at about chest height thanks to the taller nature of the Cullinan compared to other Rolls-Royce models. Thanks to the suicide-style “coach” doors, the back door ends in front of the rear wheel arch. There is no trunk, which makes it seem as if the rear aperture is a bit short. 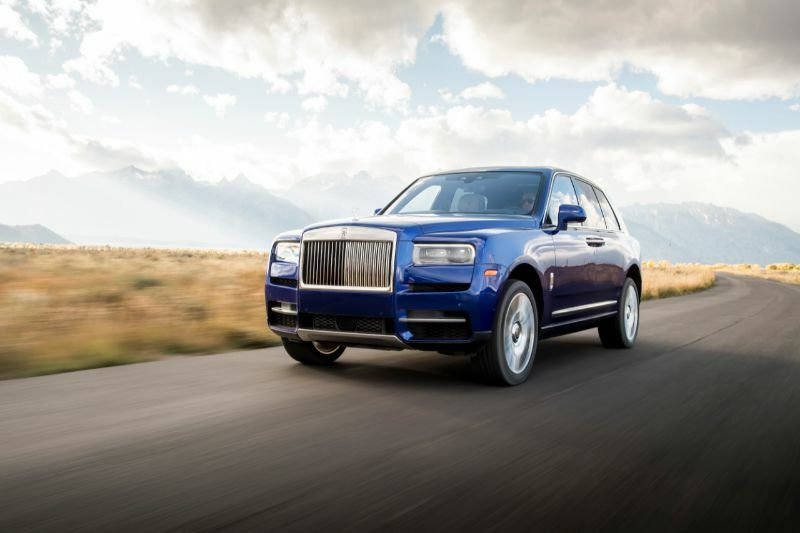 The 2019 Cullinan uses the Architecture of Luxury platform like the new Phantom. It measures 210.6 inches long and 72.2 inches tall, meaning it is 3.6 inches taller than the Bentayga and 7.0 inches taller than the phantom. The standard air springs let the Cullinan increase ride height by 1.5 inches when in Off-Road mode or drop that much when parked. The curb weight of the Cullinan is a whopping 6,150 pounds. That is 500 pounds heavier than the Phantom with a standard wheelbase. The standard arrangement inside the Cullinan has a conventional seat with three-abreast seating. Rolls-Royce anticipates this will be the most popular configuration. However, buyers can adjust the interior layout dramatically. This bench seat power folds to enhance storage. You can also opt for a two-seat second row with a fixed glass screen and bulkhead to separate the passenger and baggage compartments. It also has tinted glass and rear curtains, making it ideal for those Cullinan owners with a driver. Thanks to the hatchback configuration, there is room in the 2019 Cullinan to fit an extra set of seats plus a picnic table that can pot out of the tailgate. Now it is possible to go tailgating with the utmost in luxury. 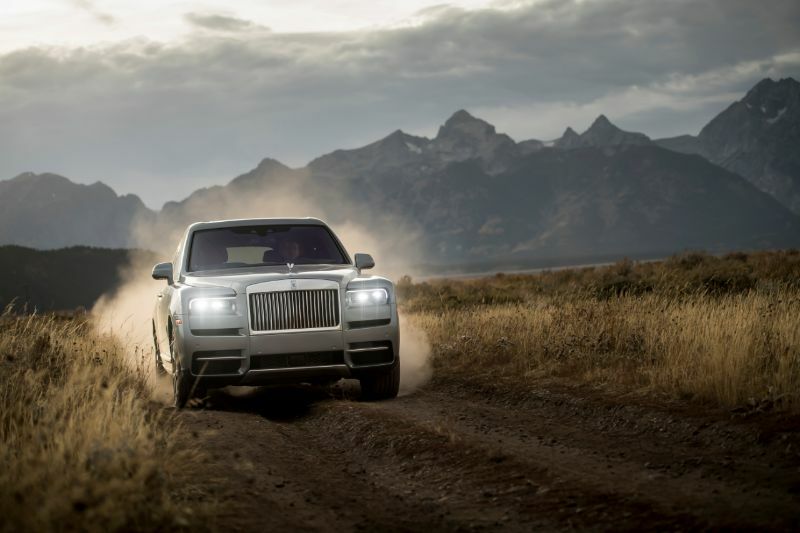 The Cullinan runs on a 6.7-liter twin-turbocharged V12 engine that delivers 563 horsepower while remaining whisper-quiet. There are rumors that an electric powertrain will be available later on. According to Rolls-Royce, getting up to 60 mph should take just 4.8 seconds. This is very impressive considering the large size and weight of the Cullinan. This Rolls-Royce also comes with all-wheel drive and an air suspension that automatically adjusts its height with help from a road-scanning camera. The transmission is a ZF eight-speed automatic, and the all-wheel-drive system has a rear bias. Those who actually take the SUV off-road will use the Low button on the gear selector.